Popular home media server Plex is heading to the cloud. The company just announced its latest new premium feature designed to help anyone who’s tired of maintaining a physical Plex Media Server at home. Plex Cloud lets you store your content on Amazon Drive and then connect that account to a cloud-hosted version of Plex server. That way you don’t have to run your own Plex server at home. No more updating software on that old PC or NAS in the closet. No more dedicating a powerful processor to encoding. You also don’t need to worry about keeping an extra machine powered on or deal with occasional power outages. Plex Cloud is currently in beta and open to a limited number of Plex Pass subscribers. Anyone who wants to try the beta can sign-up for Plex Cloud here. 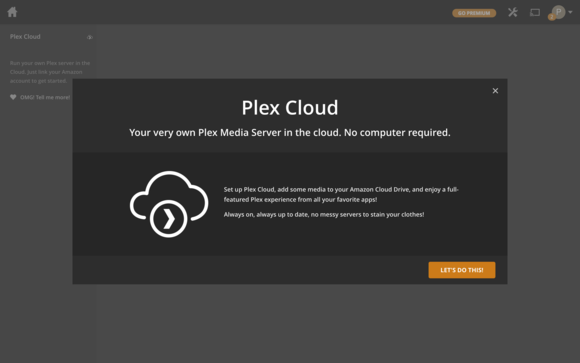 The company says there are a few standard Plex server features that currently aren’t a part of Plex Cloud— including camera upload, mobile sync, cloud sync, media optimizer, DLNA, and DVR—so do your homework before you make the jump. Plex says it's looking at making Plex Cloud compatible with other cloud storage providers, but currently you’ll have to use Amazon Drive if you want to try out Plex Cloud. Also keep in mind that Plex Cloud is a completely separate version of Plex Media Server from what you have running right now. Your media files will not carry over to the new version, so you’ll have to add them to Amazon Drive first before they’ll show up in Plex Cloud. 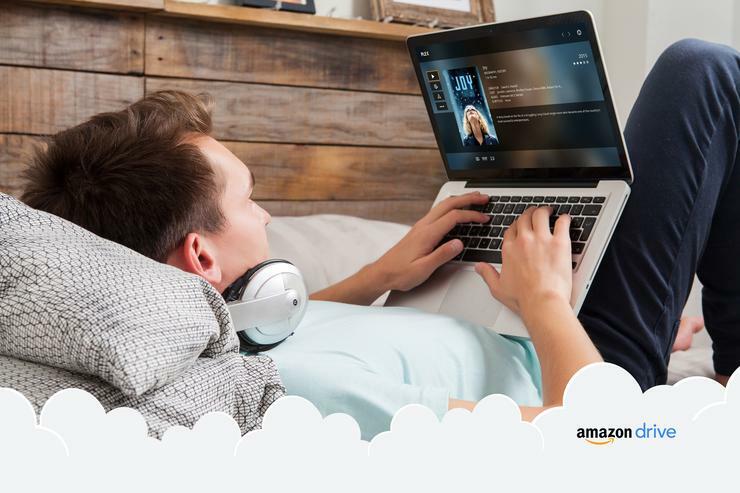 The impact on you at home: For all the conveniences that Plex Cloud promises, it will cost a Netflix-like chunk of change to manage your media in the cloud. A Plex Pass subscription currently costs $5 per month (or $40 if you buy annually), and an unlimited Amazon Drive account costs $60 per year. All told that means you’ll be paying around $120 per year for the convenience of Plex Cloud.